Most people understand that they need to wear sunscreen to protect their skin when they go outside in the sunlight. This is due to the sun’s harmful ultraviolet radiation, both the UVA and UVB rays. If your skin were to regularly get exposed to this radiation, it could cause you to get skin cancer. The people who are afraid of getting skin cancer may just stay indoors as much as possible to avoid the sun. Unfortunately, their skin is still susceptible to incurring ultraviolet radiation damage inside their homes too. 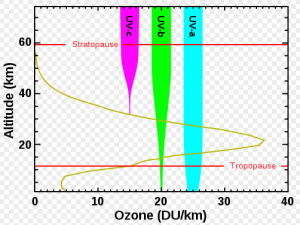 Although the glass of your windows can successfully block the UVB radiation, it will only be able to block about half of the UVA radiation that comes through your windows. If you were to put window film on your glass windows, it would be able to block as much as 99.9% of the rays from the UVA radiation. During the daytime, you are about 40 times more likely to be exposed to UVA radiation no matter what time of the year it is. Not only can it damage your skin, but it can also damage your personal belongings as well. Window film is the one solution to prevent this from happening. According to Perry Robins, M.D., who is The Skin Cancer Foundation’s President, you can observe the damage that direct sunlight causes through clear glass by observing the color of your home furnishings. If you see any fading colors on your sofa or recliner, think about what that sunlight would do to your skin if you were sitting there. There are numerous tints available for window films. You can find films available for both commercial and residential windows. Not only do they reduce UVA radiation damage to your skin and personal belongings, but they also reduce glare by up to 50%. Meanwhile, between 30% and 80% of visible light can pass through the window film. The customer can choose how much light they want to pass through based on their film selection. If these aren’t good enough reasons to use window film, consider how much money it will save you in energy expenses. When it is hot outside, the temperatures won’t be as hot indoors if you have film on your windows. If it is cold outside, the film is able to trap the heat within the home and prevent it from escaping through the windows. A lot of newer commercial and residential structures have window glass with safety film preinstalled onto it. This is supposed to prevent shattering in case of damage from bad weather or vandalism. This safety film is much thicker than regular sun-blocking film and has been known to deter burglars and intruders from breaking into buildings. And, just in case there is broken glass, you will likely not get injured because the glass pieces stay contained. Statistics show that UV radiation exposure is responsible for roughly 90% of non-melanoma skin cancer cases and 85% of melanoma skin cancer cases. The Skin Cancer Foundation suggests that people develop a habit of using sun protection solutions no matter what time of the year it is. This means staying under the shade, applying broad-spectrum sunscreen, wearing long clothing, putting on sunglasses, and wearing a hat with a broad brim. When you look for a window film brand to use on your windows, make sure it has been awarded The Skin Cancer Foundation’s Seal of Recommendation. Some of these brands include Solar Gard and Panorama, Nexfil, Solutia Performance Films, and 3M. All window film products that have been awarded the Seal of Recommendation are proven to be effective and safe for protecting your skin from UV radiation. There is a special Product Finder search tool that you can use to find all products that have been awarded this Seal. © 2018 - Shine Factroy Auto detaling center, Inc. All Rights Reserved.